Abraham was eager to show hospitality to these three visitors. Meeting another’s need for food or shelter was and still is one of the most immediate and practical ways to obey God. 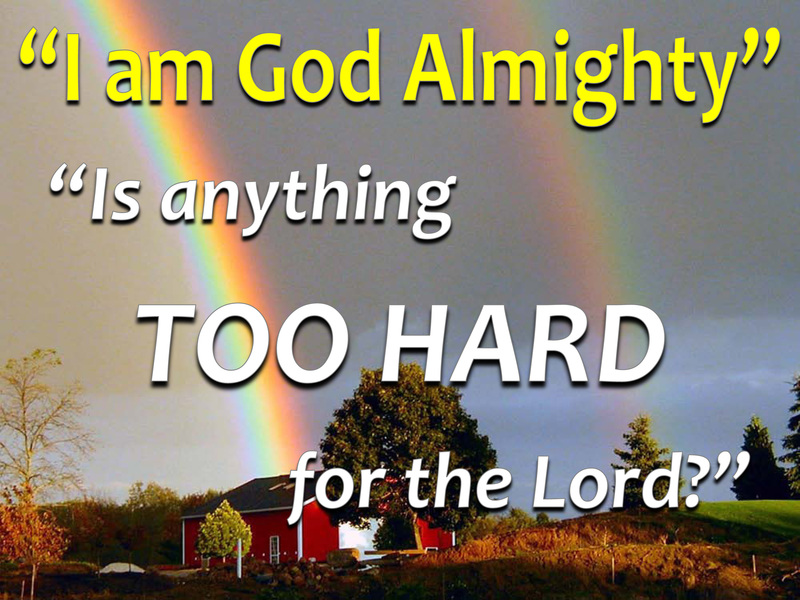 “Is anything too hard for the Lord?” the obvious answer is, “Of course not!” this question reveals much about God. Ask questions like these to God: Is this day in my life too hard for the Lord? Is this habit that I am trying to break from too hard for Him? Is this relationship problem that I am having is too hard fro Him? Asking the question in this way reminds you that God is personally involved in your life and nudges you to ask for His power to help you. Sarah lied because she was afraid of being discovered. God let Abraham question His justice and intercede for a wicked city. God gave the men of Sodom one last chance to repent. Thus, the three things bring out the aspect of fear, love and forgiveness. We are afraid that our inner thoughts and emotions will be exposed. If God can’t be trusted with our innermost thoughts and fear, we are in great trouble than we first imagined. Abraham knew that God must punish sin, but he also knew from experience that God is merciful to sinners. God gave the people of Sodom a fair test. God is still waiting, giving people the opportunity to turn to him. Those who are wise will turn to him before his patience wears out. 1 The LORD appeared to Abraham by the oaks of Mamre, as he sat at the entrance of his tent in the heat of the day. 2 He looked up and saw three men standing near him. When he saw them, he ran from the tent entrance to meet them, and bowed down to the ground. 3 He said, “My lord, if I find favor with you, do not pass by your servant. 4 Let a little water be brought, and wash your feet, and rest yourselves under the tree. 7 Abraham ran to the herd, and took a calf, tender and good, and gave it to the servant, who hastened to prepare it. 8 Then he took curds and milk and the calf that he had prepared, and set it before them; and he stood by them under the tree while they ate. 10 Then one said, “I will surely return to you in due season, and your wife Sarah shall have a son.” And Sarah was listening at the tent entrance behind him. 20 Then the LORD said, “How great is the outcry against Sodom and Gomorrah and how very grave their sin! 22 So the men turned from there, and went toward Sodom, while Abraham remained standing before the LORD. 24 Suppose there are fifty righteous within the city; will you then sweep away the place and not forgive it for the fifty righteous who are in it?